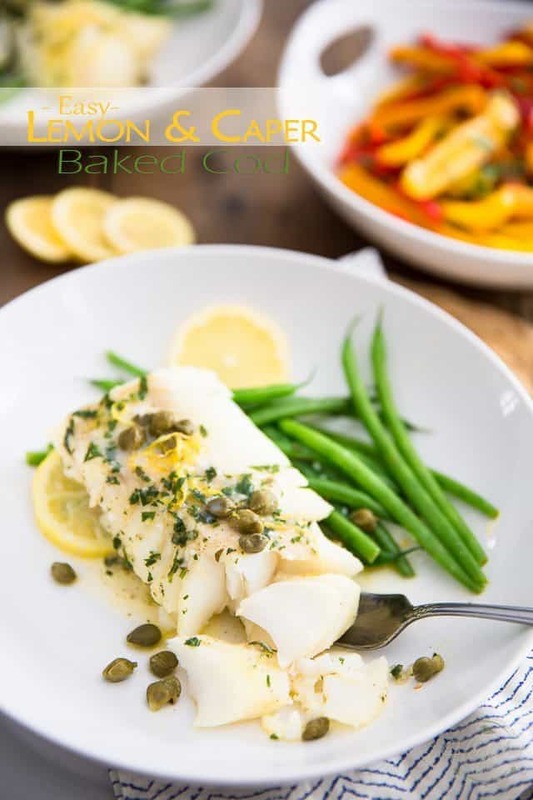 I think that this Lemon Caper Baked Cod is my new favorite white fish recipe in the whole wide world! While it might not look like much, you would not believe the amount of flavor that emanates from such a simple piece of fish. 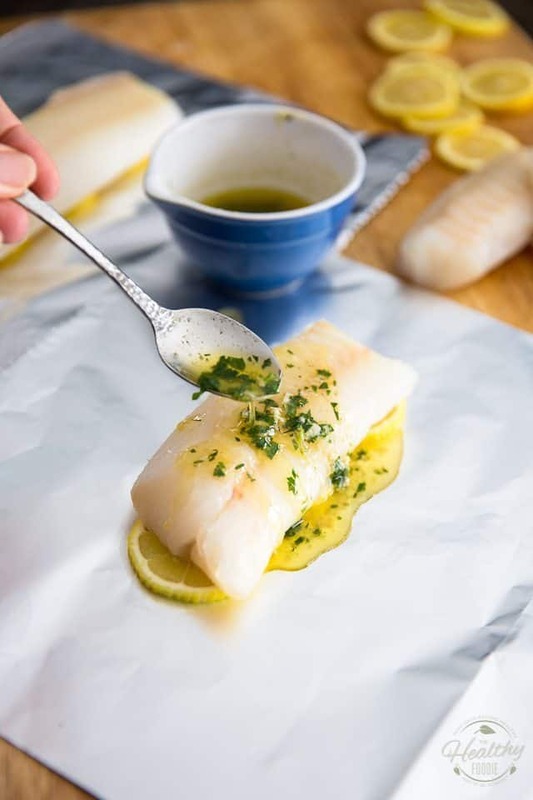 Not only does the fish have this crazy rich and buttery taste but it’s also super flaky and moist and melt-in-your-mouth tender… I think you have to try it for yourself to believe it. Then, cut 8 sheets of aluminium foil of roughly 12″ x 12″. Place 4 of those sheets flat on your counter and keep the other 4 handy. Put the ghee in a small mixing bowl and melt it in the microwave, which should take no longer than 30-45 seconds. 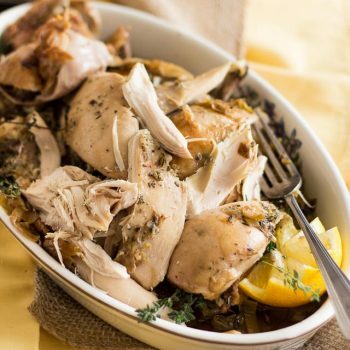 To the melted ghee, add the dry white wine or vermouth (you could also use caper brine if you prefer to stay away from alcohol or want to keep things squeaky clean), minced garlic, salt, white pepper and finely chopped parsley and mix with a fork until well combined. Set aside. Finally, collect the zest from both lemons and then slice them fairly thinly, so that you end up with at least 12 full slices in total. 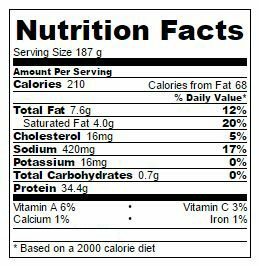 Then, line 3 slices of lemon smack in the center of each sheet of aluminium foil and place one fillet on top of each row of lemon slices. That’s it! The hardest part of the job is now behind you. 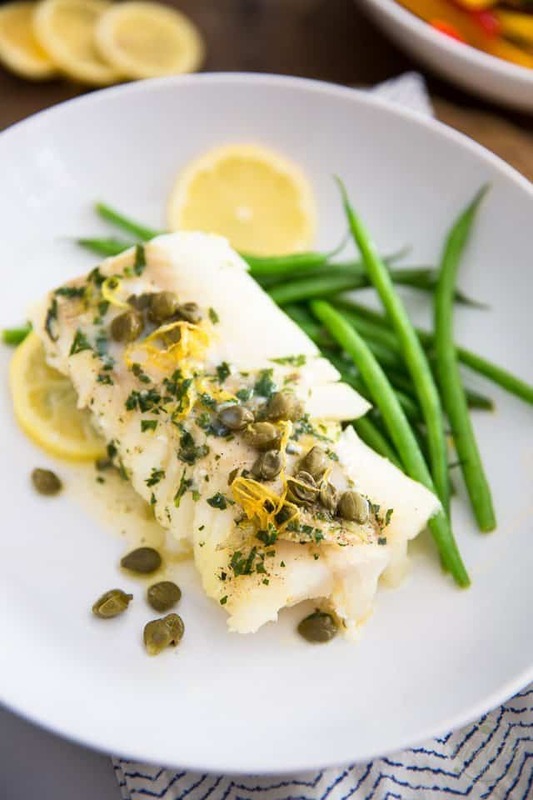 Next, you’ll want to top each fillet with a few capers as well as a generous pinch of the lemon zest. Ooops, sorry… I forgot to tell you to take the capers out of the fridge, didn’t I? Quick, go get them, I’ll wait! 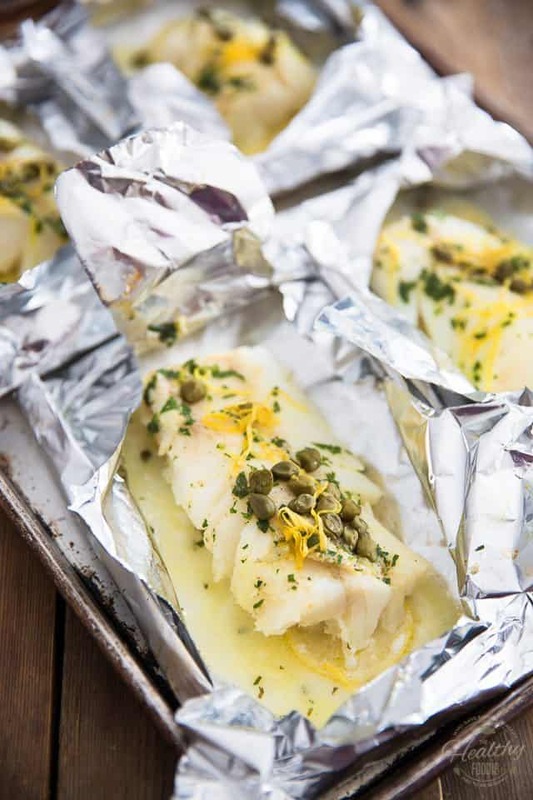 Alright now, to make the packets, place a second piece of foil on top of the fish fillets and crimp the edges together in a ½-inch fold, then fold each side over 2-3 more times to create a nicely sealed foil pouch. 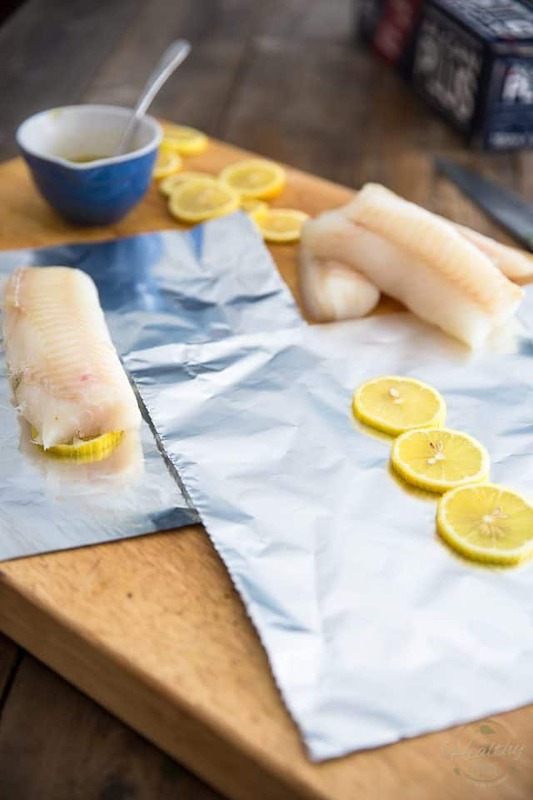 If you are going to be cooking your fish right away, place the packets on rimmed baking sheet, overlapping slightly if necessary. Or, place the packets in the refrigerator until you are ready to bake your fish, either later that day or even the next day. 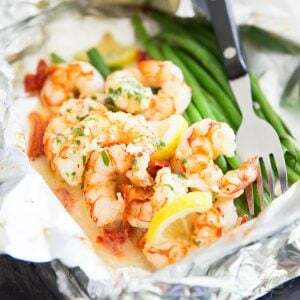 Bake the fish for 12 to 15 minutes, depending on the thickness of your fillets and desired doneness. 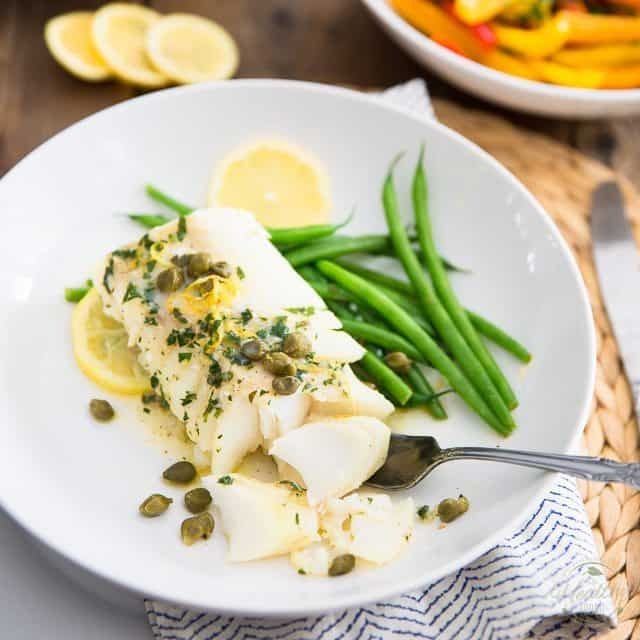 Personally, I prefer my firm fleshed white fish a little bit more on the well-done side, as I find they tend to be slightly chewy when underdone, so I left mine in for 15 minutes and found it to be absolutely perfect. Whatever you do, make sure that you promptly open the packets as soon as you take them out of the oven in order to avoid overcooking, and be careful to let the steam escape away from you. 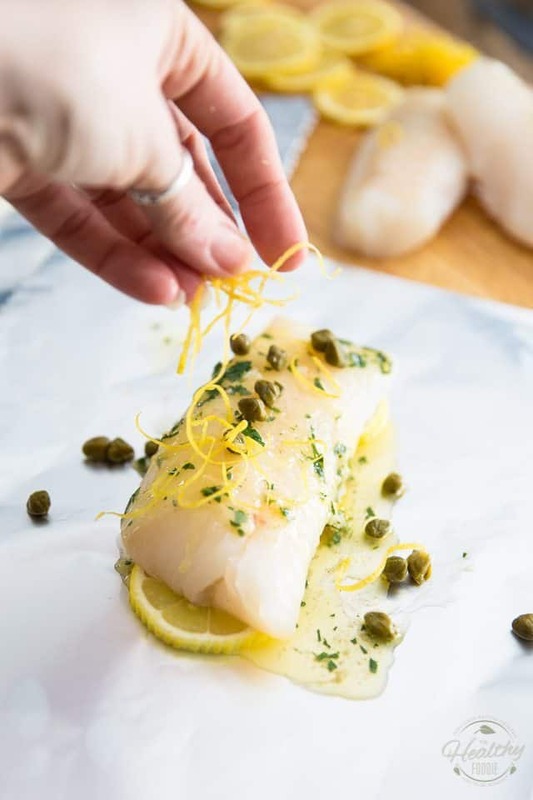 Carefully transfer the fish fillets to a serving plate and spoon all the juices that have accumulated at the bottom of the packet right over your fish. You can spoon some over the vegetables, too, you know… in fact, those juices are so amazingly tasty that I sincerely regretted not having opted to go with a little bit of white rice as a side. It sure would’ve tasted fantastic, all soaked up in those rich, buttery and lemony juices. 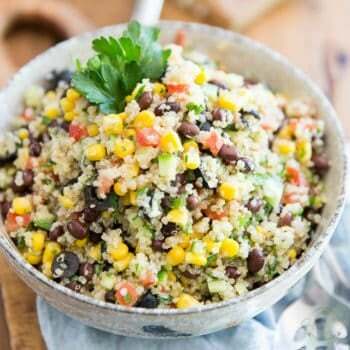 Next time I make this recipe, you can be sure that it’ll get served over a bed of rice… and if you eat rice, too, I strongly recommend that you do just the same! 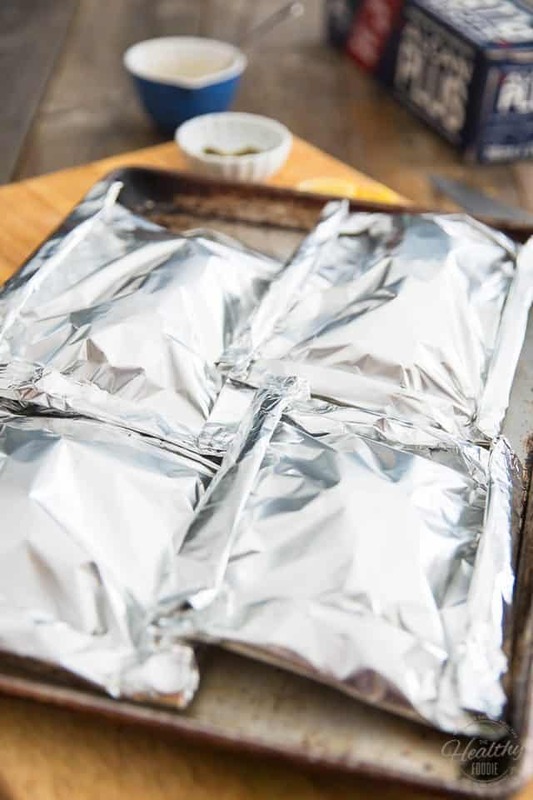 Preheat your oven to 450°F; cut 8 roughly 12" x 12" sheets of aluminium foil and then place 4 of them flat on your counter. Put the ghee in a small mixing bowl or glass measuring cup and place it in the microwave to melt, about 30-45 seconds. Add the dry white wine (or vermouth, or caper brine), minced garlic, salt, white pepper and finely chopped parsley and mix until well combined. Set aside. Collect the zest from both lemons and then slice them fairly thinly, so that you end up with at least 12 slices in total. 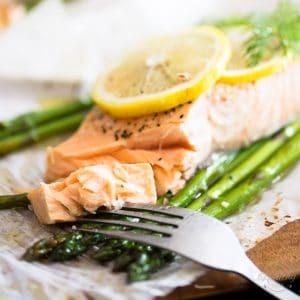 Line 3 slices of lemon smack in the center of each foil sheet and then place one fillet on top of each row of lemon slices. 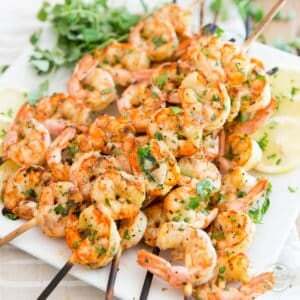 Spoon the melted ghee mixture on top of each fillet, dividing it equally between the 4 of them. Top with a few capers and a generous pinch of the lemon zest. 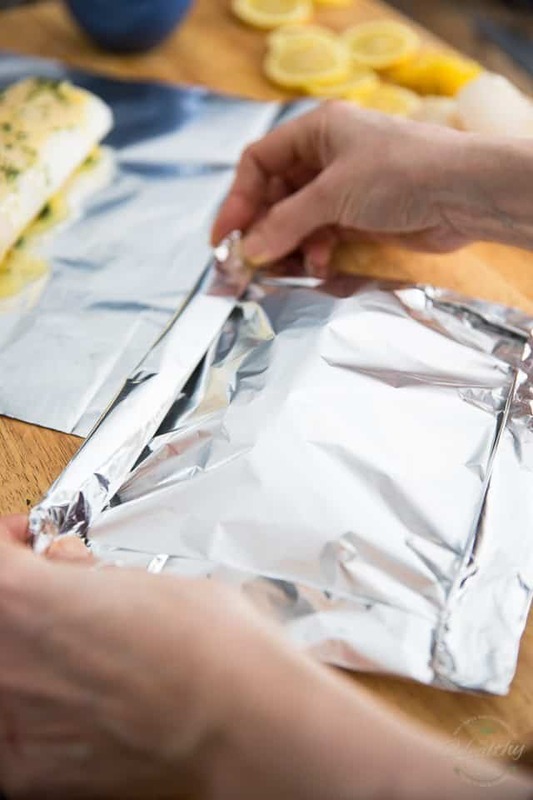 Next, place a second piece of foil on top of the fish and crimp the edges together in a ½-inch fold, then fold each side over 2-3 more times to create a nicely sealed foil packet. Place the packets on rimmed baking sheet (overlapping slightly if necessary). *Note that you could place the packets in the refrigerator at this point and bake the fish later that day or even the next day. Bake for 12 to 15 minutes, depending on fish thickness and desired doneness. Promptly open the packets as soon as you take them out of the oven to avoid overcooking being careful to let the steam escape away from you. 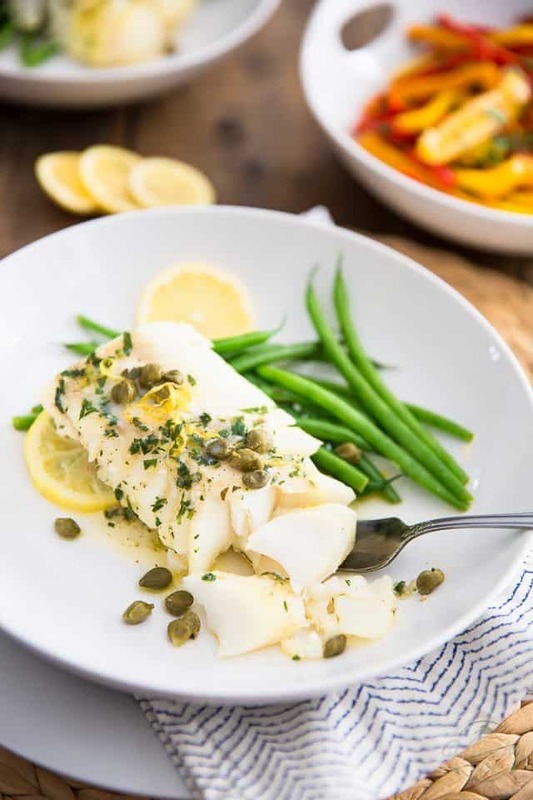 I hosted some non-vegan friends for dinner and they really seemed to enjoy this cod, I wasn’t sure how to cook fish but your recipe was a life-saver. 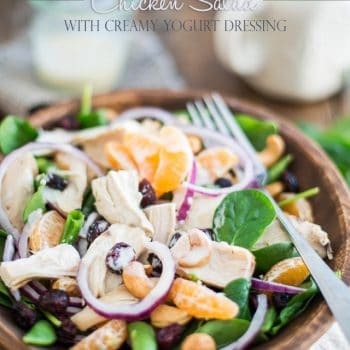 Love the look of this, light and delicious – perfect for Spring! 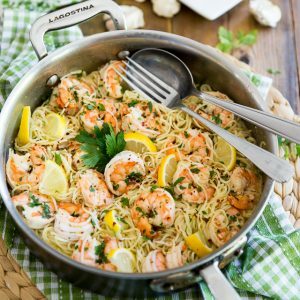 I always like to find new ways to cook one of my favourite fish, thanks for sharing! Why ghee and not just regular butter? Feel free to use regular butter if you prefer. 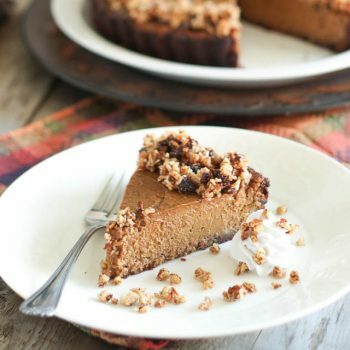 Love the recipe…one of my go to dishes. The one change I made was to use parchment packets rather than aluminum foil (acid and foil are a toxic recipe) and if it doesn’t feel “secure” in its packet you can put foil on the outside, layered over the parchment. 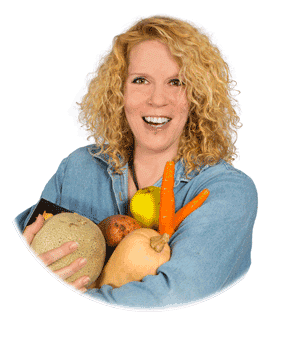 Since you are healthy food focus it is important to recognize the vehicle your food takes to get to smiling lips. PS…loved your post on homemade ghee.